Rocky Mountain National Park Rush to the Rockies and see grand Western art, iconic grave sites and a settler’s wonderland. 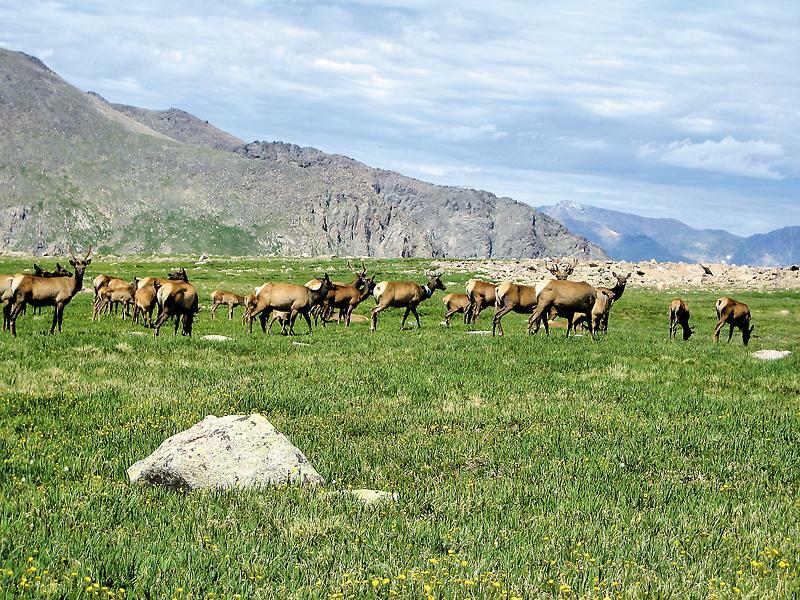 During Colorado’s gold “Rush to the Rockies,” Joel Estes was hunting with his son in 1859 when they stumbled across beautiful meadows that eventually became known as Estes Park. His cattle ranch quickly became a favorite stop for tourists, most notably the Englishwoman Isabella Bird, who ascended the 14,259-foot-high Long’s Peak in 1873. (The peak was named for Stephen H. Long, who came through this area in 1820 during an expedition across the Platte River to the Rocky Mountains.) In her book, A Lady’s Life in the Rocky Mountains, Bird shared how “Rocky Mountain” Jim Nugent had pushed and pulled her to the top. Eleven years after Bird’s ascent, 14-year-old Enos Mill moved to Estes Park. His exploration of the area would later inspire him to support the creation of Rocky Mountain National Park. Although Mill’s proposed park boundaries were reduced in Congress’s final bill, President Woodrow Wilson did sign the park into creation in 1915. Denver is the place to begin your trip to Colorado’s first national park. Everyone came to or passed through Denver: Charles Goodnight, Buffalo Bill Cody, Wyatt Earp and Charles Lindbergh, to name just a few. Denver’s two most historic hotels are located right downtown. The stylish Oxford Hotel is Denver’s oldest and was originally constructed in 1891. From the Oxford’s upper windows, pioneers could safely watch the bustle of arriving train passengers and businessmen, all dodging horses and hacks, streetcars and delivery wagons. One year younger than the Oxford is the Brown Palace hotel. 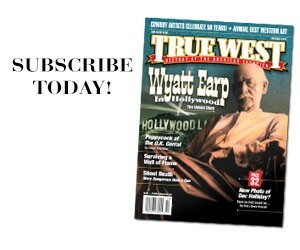 Guests over the years have ranged from early Denver con man “Soapy” Smith to U.S. presidents to the Beatles. The center of the hotel is an eight-story-high atrium, a great place to enjoy a drink and feel presidential. At the Denver Art Museum, you will see all of the big names of Western art, ranging from Albert Bierstadt and Alfred Jacob Miller to Frederic Remington and Charlie Russell. The American Indian Art galleries feature pottery, headdresses and other works from the Old West, as well as contemporary artwork from the New West. Ready for a unique Denver meal? You should head down Osage Street to Denver’s oldest restaurant and the holder of the first liquor license in the city, the 1893 Buckhorn Exchange. This national landmark was one of Buffalo Bill Cody’s favorite watering holes and has hosted everyone from Teddy Roosevelt to Roy Rogers. Dine on wild game like elk and buffalo, and then finish the evening with some fine Western music, from the likes of Roz Brown and Bill Barwick, in the Buckhorn’s bar. Interstate 70 heads directly west from Denver, following the old railroad and toll routes. Your first stop as you head into the Colorado Rockies will be the Buffalo Bill Museum & Grave complex in Golden. The museum is filled with artifacts from Cody and his friends, like Lakota Chief Sitting Bull. Exhibits in the museum, selected as True West’s number one Western history museum in 2011, explain Cody’s life, his relationship with the Indians and his Wild West show business career. When you visit Cody’s grave, you’ll easily see why he chose this spot to be buried. Located atop Lookout Mountain at 7,375 feet, the site offers breathtaking views of Denver and the Great Plains to the east and of the crest of the Rockies to the west. Back on Interstate 70, your route takes you deeper into the Rockies. Mining and railroads were critical to the growth of Colorado. The Georgetown Loop became an instant tourist attraction after it was opened in 1884. During summer and fall, it still transports passengers, making a stop at an old silver mine along the way. Beyond Vail, you will encounter Glenwood Canyon, with its steep and colorful walls, created by the winding Colorado River, that were first photographed by William Henry Jackson. Your journey through the canyon ends in the town of Glenwood Springs, originally inhabited by the Utes, who took advantage of its hot springs (you can follow the example of the Utes and spend some time in the Vapor Caves). The arrival of the railroad in 1887 brought the first trainloads of tourists here. Those who explore the area today will find a wonderful lodging choice in the 1893 Hotel Colorado; Teddy Roosevelt stayed there in 1905. No visit is complete without a walk through Linwood Cemetery to see Doc Holliday’s gravestone (whether his body is beneath it remains a mystery). The 35-year-old dentist-turned-gambler sought a cure for tuberculosis in the town’s hot springs. Yet the famous O.K. Corral gunfighter died shortly after his arrival in 1887, felled not by a bullet but by a tiny bacteria. Head north on Route 13 to Meeker for a scenic drive through the White River Valley. In 1901, Teddy Roosevelt went gunning for mountain lions in this popular hunting retreat. Today, the 1896 Meeker Hotel, where Roosevelt stayed, is decorated with big game trophies. After a visit in Craig, home to the Museum of Northwest Colorado and its impressive collection of nearly 1,000 artifacts used by working cowboys in the West, head into the Yampa Valley, where ranching was the primary industry in the 1870s. When the railroad arrived in Steamboat Springs, the depot became one of the largest cattle shipping centers of the West. 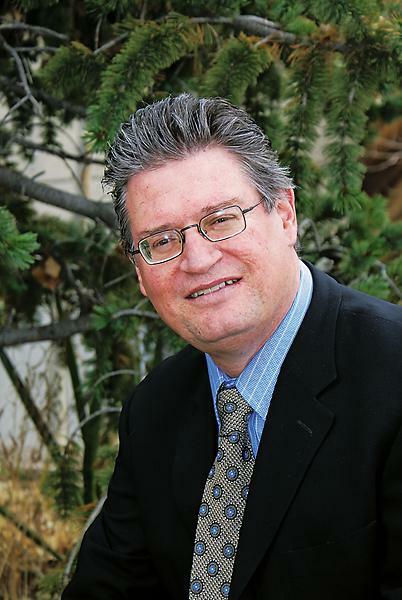 Today, the city is both a center for ranching and a world-class recreational destination. You will find plenty of places to stay in this wonderland, including Hotel Bristol, located downtown with easy access to the city’s bars and restaurants. Steamboat Springs was named after a mineral spring settlers thought made a chugging sound like a steamboat. You’ll find that natural springs abound in Colorado; one of the nicer resorts is at Hot Sulphur Springs, between Steamboat Springs and the national park. A favorite summer campground for the Indians, the springs was developed as a resort around 140 years ago. Here’s your chance to bathe in some history before you head to your grand destination: Rocky Mountain National Park. 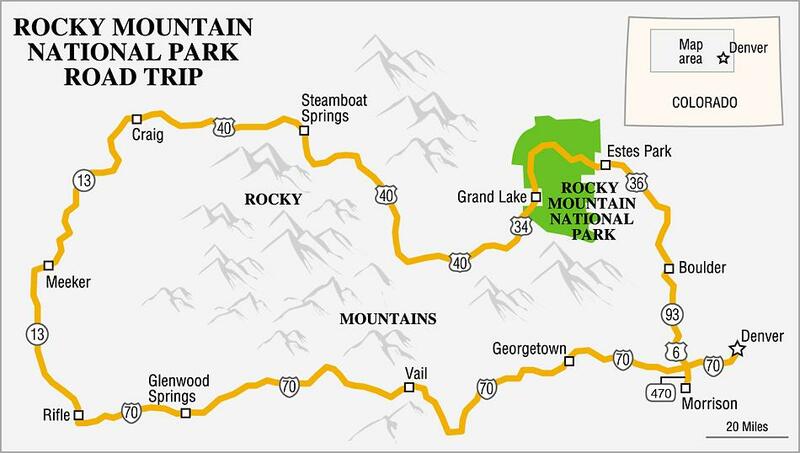 The only approach from the east into the national park is through Estes Park. From the west, you can enter through Grand Lake. The national park does not offer any lodging, so plan on staying in one of the two towns. Grand Lake, founded in 1881 on the shores of the eponymous lake, is a rustic town with wooden sidewalks and historic buildings. A great view of Colorado’s largest natural lake can be enjoyed from the porch at the Grand Lake Lodge. Located on a hill overlooking the town, it is one of many historic lodges built in and around the national park. To enter from Grand Lake, you should follow the broad and winding Kawuneeche Valley, the headwaters of the Colorado River. A visit to a guest ranch preserved as a historic district, the Holzwarth Homestead, allows you a chance to walk through a portion of the valley and learn about its settlement. Farther up the valley, a longer walk takes you to Lulu City, an 1880s mining camp that now lies in ruins. The park is filled with many trails like these, allowing opportunities for hiking, horseback riding, backpacking and wildlife viewing. Fishing is also popular here, as the national park offers 150 lakes and 476 miles of creeks and streams, plus some of the loftiest and most accessible peaks in Colorado. 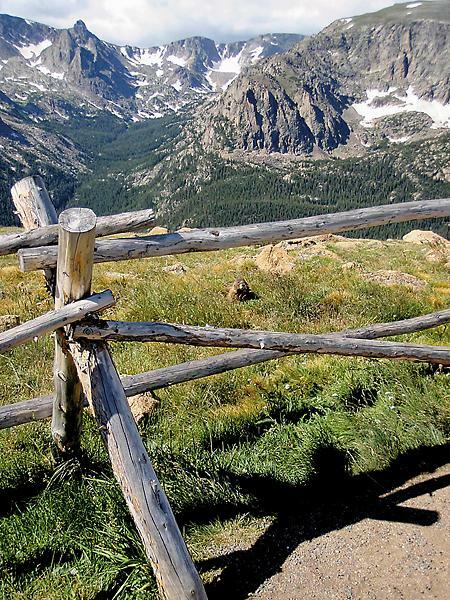 Trail Ridge Road, a Colorado Scenic Byway, runs between Grand Lake and Estes Park. As the highest, continuous paved road in the United States (reaching 12,183 feet), it leaves the visitor feeling as if he or she has been on the top of the world. The road follows a trail the Utes used to cross the Continental Divide. This Crest of the Continent, where the rain can go two ways when it falls, runs to the Pacific Ocean on the west side and to the Atlantic Ocean on the east side. 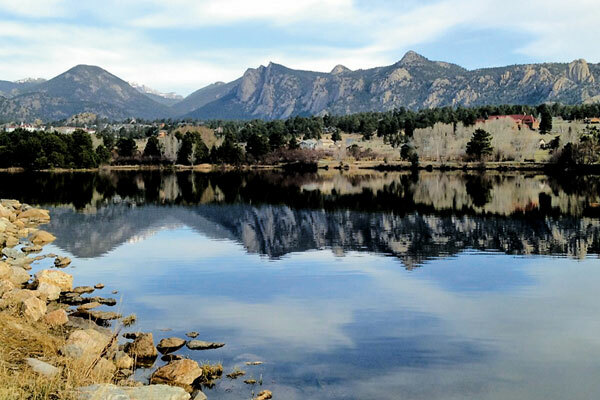 In marked contrast to Rocky Mountain National Park, today’s Estes Park feels like a carnival, with its purveyors of saltwater taffy and its amusement park rides. But traces of its history remain in the various lodges around town. Most prominent is the Stanley Hotel, built in 1909 by F.O. Stanley, inventor of the Stanley Steamer. The hotel is truly one of the grand lodges of the West, with the added twist of being the inspiration for Steven King’s novel The Shining. Just north of the Stanley and down Devil’s Gulch Road is the Inn of Glen Haven, which offers gourmet fare, like trout coated in Asiago cheese, in a rustic and intimate setting. Your trip back to Denver will take you through the university town of Boulder, with its eclectic mix of eating and shopping choices, and to Morrison, home of the Fort restaurant, which is a great place to end your experience of Colorado’s Old West. At this reconstruction of Bent’s Old Fort, a stop along the Santa Fe Trail, you can consume the trip’s last dish of wild game and toast the good times had with a glass of Trade Whiskey, flavored with red pepper, tobacco and blackpowder in the tradition of the mountain man rendezvous. 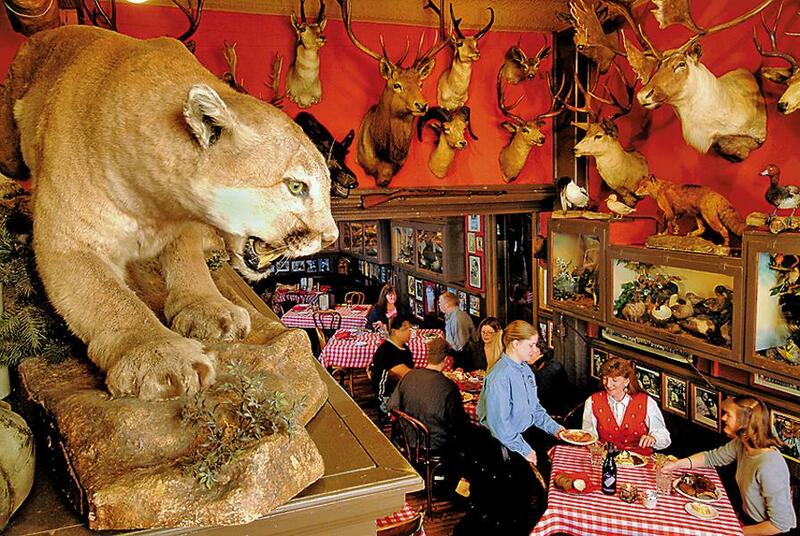 The wildlife observes the diners inside Denver’s Buckhorn Exchange. Estes Park is named after Joel Estes, a cattle rancher who stumbled across the beautiful Colorado meadows while hunting in 1859. 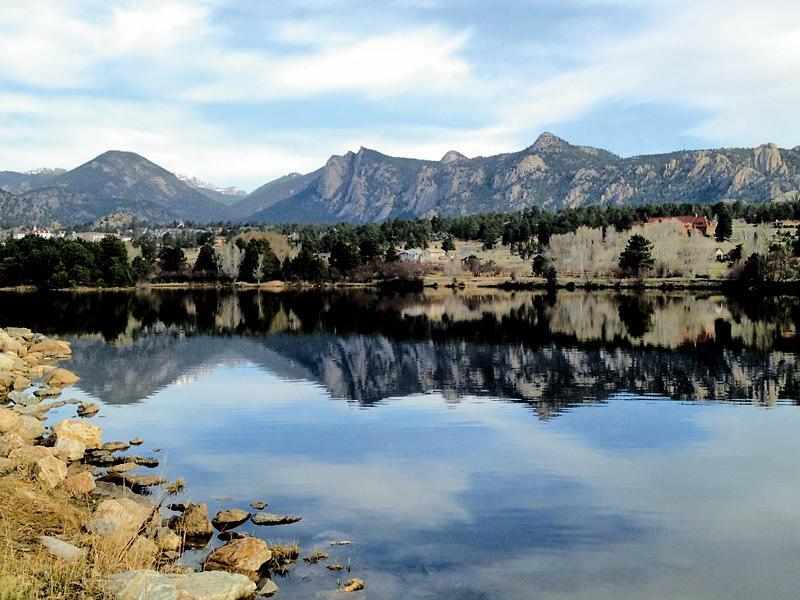 About a six-mile drive from Rocky Mountain National Park, Lake Estes attracts a lot of fishermen in the summer months. 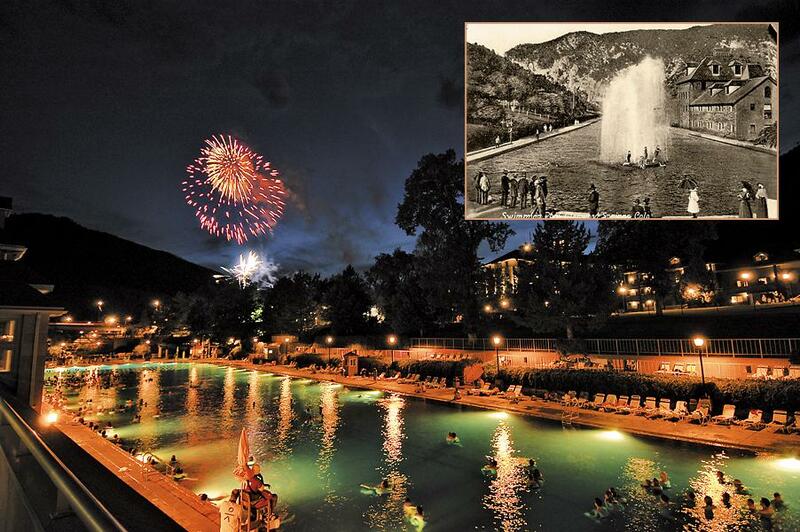 Since 1888, settlers have relaxed in Glenwood Springs’s hot springs, a sanctuary that is open for swimming year round; during your visit, be sure to check out the 1890 sandstone bathhouse. The majestic views of green valleys and tundra meadows seen at Rocky Mountain National Park today are the same views enjoyed by the Utes, who dominated the area until the late 1700s, followed by fur trappers, Pikes Peak gold rush miners and homesteaders. 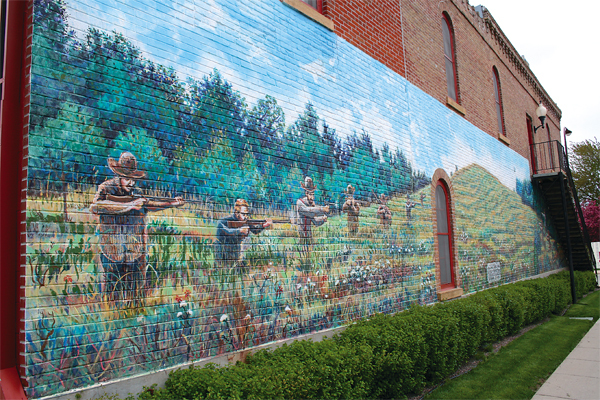 The Great Northfield Raid But don’t forget Madelia, Minnesota. 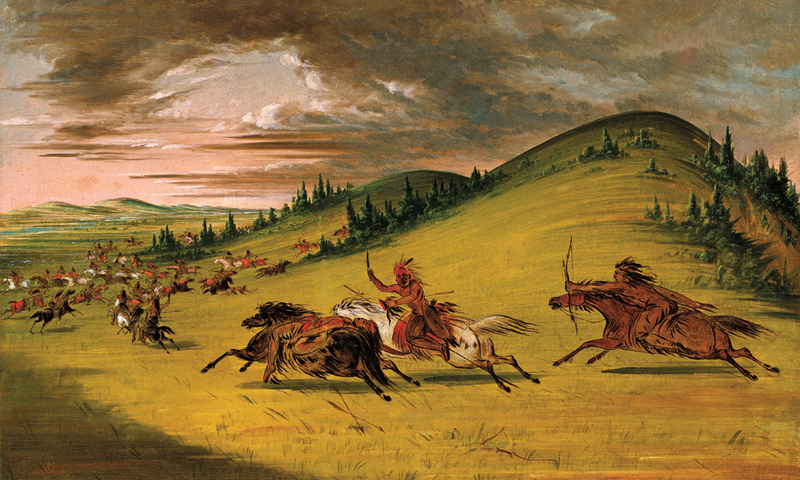 Into the West Adventurer-artists helped document the frontier, and continue to inspire Western artists today. 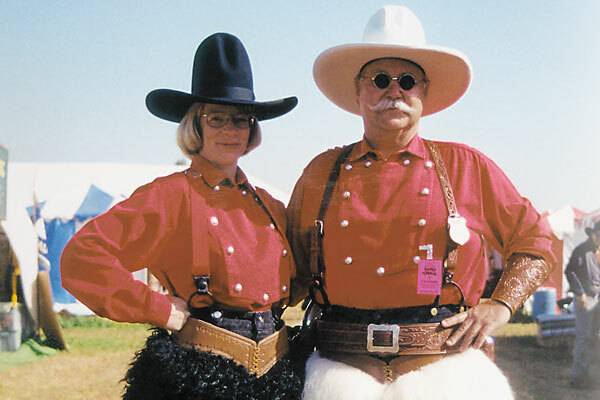 Party Like a Cowboy Experts recommend their favorite Western events.